Reach more viewers by supporting more devices. THEOplayer support the widest range of devices following its Universal Video Player strategy. Dig into new audiences by sharing your content on the devices they use like smartphones, tablets and smart TVs. Book your meeting in advance and discover the newest devices we support. THEOplayer has a faster start-to-play and seek times when compared to other players in the market. We keep your viewers on the screen through an engaging playback experience. THEOplayer is focused on continuously improving the video stack, developing more tools and study the technology behind it. THEOplayer iOS and Android SDK 2.0, new skinning features and our partnership with Google DFP are just a few of the many innovations you might discover at our booth. THEOplayer helps its customers to accomplish their video challenges. Is video a new challenge for your company and you don't know where to start? Or are you more experienced and do you have a complex project in the pipeline which requires knowledgable people and highly skilled engineers to get it implemented? THEOplayer has worked on all types of cases. From the very easy ones to the extremely complex ones. Discover some use cases and discuss your own challenges at our booth. How do we build a compelling user experience? This Connected Media Europe Panel brings together experts to examine content discovery, recommendation, and personalisation trends. The purpose of this panel is to try to provide insights into where the user experience is heading and how operators can succeed in building differentiated and compelling platforms that truly engages viewers. From the camera to the consumer - understanding how we can secure content in the world of OTT. 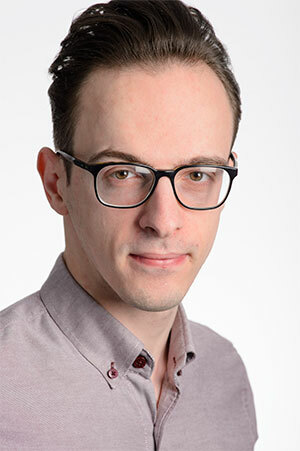 This Connected Media Europe Panel bring together experts from the spheres of content security to look at the current state of the market and examine the emerging trends that content owners and operators need to consider. We also look at the legal and technological avenues that can protect IP and examine the role that the wider industry can play in making content available for monetisation. Save the date! 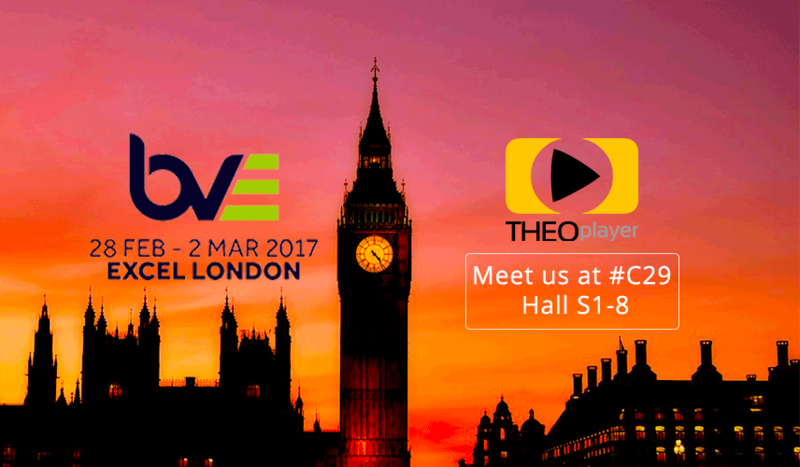 Meet THEOplayer at BVE from 27th February to 1st March at booth C29, Hall S1-8. 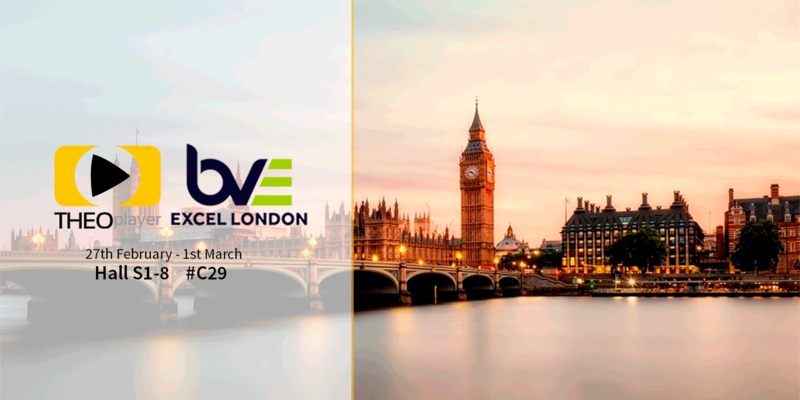 If you want to meet THEOplayer but cannot attend BVE, feel free to drop by our events page.